Now this weekend's party was truly a party fit for a prince. Noah, or kunchu (meaning prince) as his mother likes to call him, had his first birthday party probably mostly-planned whilst he was in-utero. We had created Noah's mum's bridal shower cupcakes, his parents' wedding cake, Noah's smash cake, and now his first birthday cake. So it came as no surprise to us when his mother requested to book us out for the second Saturday of September for the next five years, and is currently deliberating on the theme for his third birthday party. Although this is only Noah's first birthday, Noah's mum is no novice at throwing awesome parties. Her wedding was a two day affair spanning two weekends, first at Nine Darling Street then at the beautiful Regent Theatre. Noah's party was no different. Face painters, balloon artists, a petting zoo, and of course, a party fit for a prince would also have a Cake Me! kids session ;P.
The eighteen friends of Noah's were aged between three and twelve. The kids were amazing. For me personally, it was a challenge catering for such a big range of ages and abilities, however all the kids were so eager, so enthusiastic, and all remained focused for the entire ninety minute session. Even the younger ones whose parents warned me prior to the class that their child probably wouldn't be able to last, they were still seated right until the very end. 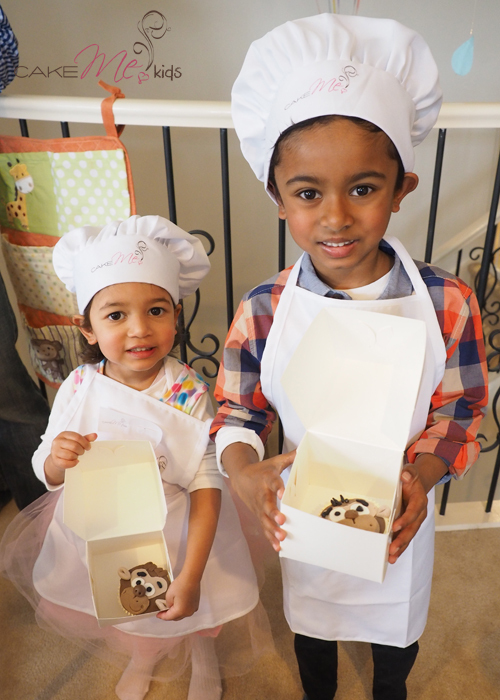 Even though Noah was too young to participate, the class was tailored to the theme of his party and the eighteen kids created their own monkey cupcakes. 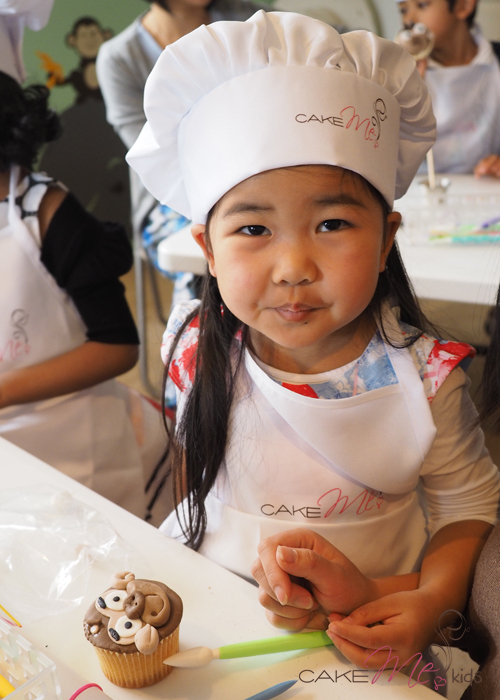 We loved how the kids were so confident with fondant and wanted to express their own individuality at the end, some giving their monkey a white hairdo, and another little girl gave her monkey a matching chef's hat to the one she was wearing. The Noah's ark themed party was announced to me a few weeks after Noah was born, and I was so excited to have complete free reign on the design. 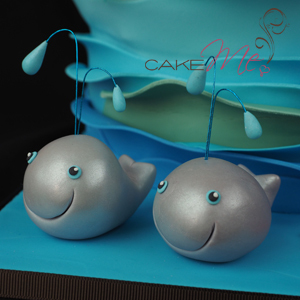 Weighing in at 31.5kg and 59cm in height, the cake was enormous to say the least. 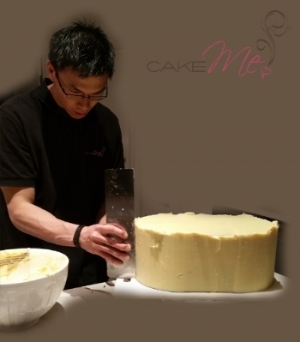 Just the cake batter alone was 14kg. As my four year old put it, "there's enough cake for everyone in the whole world!".. Yes, just about!! Each plank of "wood" was individually cut out and stuck on, each animal lovingly hand sculpted, lustred and hand-painted. Everything was fully edible, including the "sea", "ark", "boathouse" and animals (with the exception of cocktail sticks and wires for the water droplets). Naturally, I wanted to build an ark and put lots of fun animals on it.. But I decided to make the cake more meaningful and relevant to the birthday boy, so I had to do some research. Yes, the cake was huge! The first animal on the cake are giraffes. Just before Noah was conceived, Noah's parents went to Africa and stayed at Giraffe Manor. The whales represent Hawaii, where Noah first holidayed. Noah's mum studied in New Zealand, so obviously sheep came to mind. So to make it fair, I asked Noah's mum what animal would represent his dad?... She replied, "hippo" for reasons I won't write in this blog, but it rhymes with hazy and pat. ;p Finally to represent Noah the cheeky and fearless little one year old, monkeys and lions. Some people may question whether Noah will even remember his first birthday party when he's older? We don't know that answer, but judging from his smile all day, he had a super, fantastic day. But if you question any of his party guests whether they would remember Noah's first birthday party for years to come? They most definitely will. 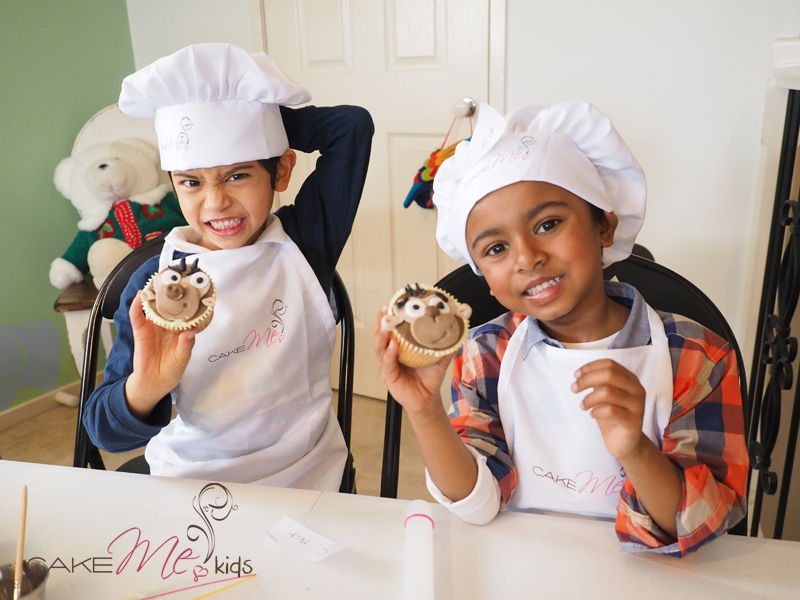 To join us behind the scenes, read about our cakes and our kids parties, please subscribe to our blog!